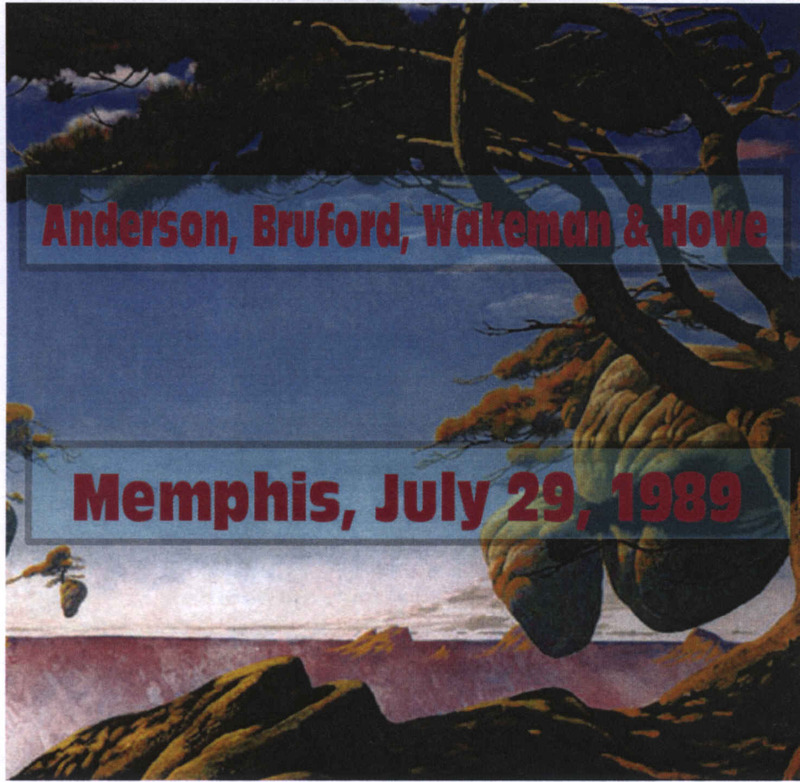 By request here is Anderson, Bruford, Wakeman, Howe. 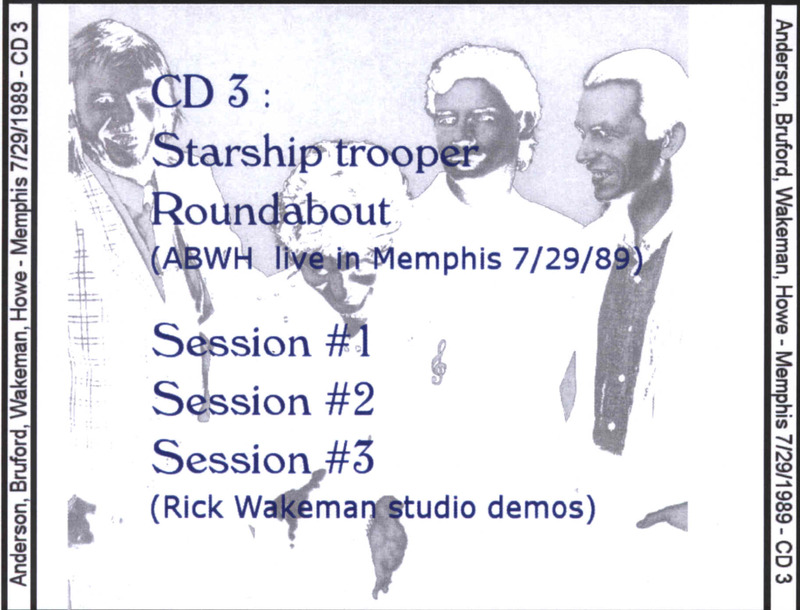 This is ABWH's first show of the 1989 tour. I don't know the lineage, but it is an excellent recording marred only by the idiot (sounds like a kid) who talks incessantly during the first hour in the left channel and the whistler in the right channel. There is crowd noise, but the music overshadows most of it. Artwork is included. 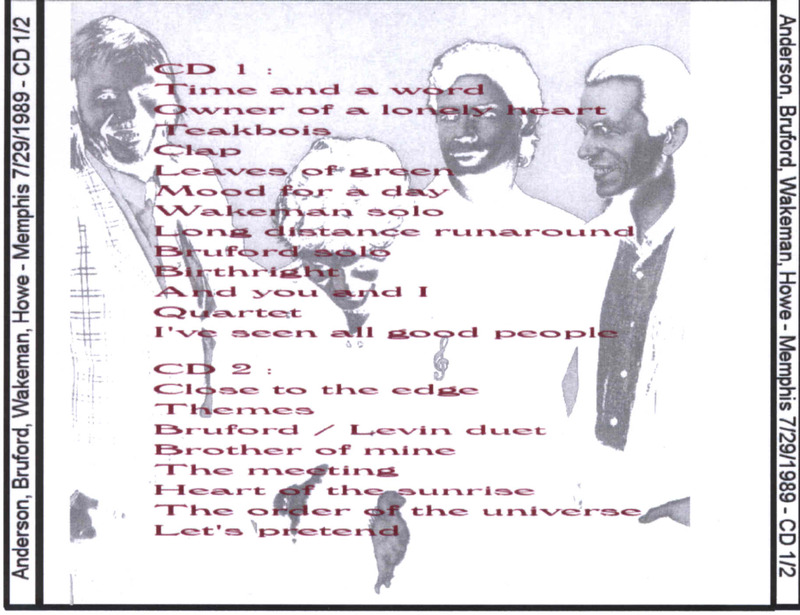 Note, however, that the song titles on the art are not numbered as they do not match exactly to tracks on CD 1.